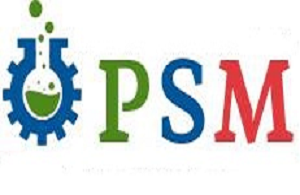 PSM Veterinary Research (ISSN: 2518-2714) is a peer-reviewed, open access, multidisciplinary, international journal that publishes research on all aspects of veterinary and animal sciences. The journal provides rapid publication of research articles, review articles, mini-reviews, short communications, data analysis, case reports, editorials, opinions, letter to editor, symposium, commentaries, conceptual paper, proceedings and newsletters. PSM Veterinary Research covers all areas of Veterinary Sciences but not limited to: Animal Science, Poultry Science, Animal Nutrition, Pharmacology and Toxicology, Pharmaceutical Science, Veterinary Science, Veterinary Medicine. Three or more authors: first author's name followed by 'et al.,' and the year of publication e.g. (Iqbal et al., 2016). If an author cited has had two or more works published during the same year, the reference, both in the text and in the reference list, should be identified by a lower case letter like â€™aâ€˜ and â€™bâ€˜ after the date to distinguish the works, "as demonstrated (Allan, 1996a, 1996b, 1999; Allan and Jones, 1995)". References should be arranged alphabetically by authors' names. If more than 6 authors then first 6 may be listed followed by â€˜et al.,â€™ Use journal names as abbreviated. PSM Veterinary Research is providing free publication to researchers and scholars across the globe.